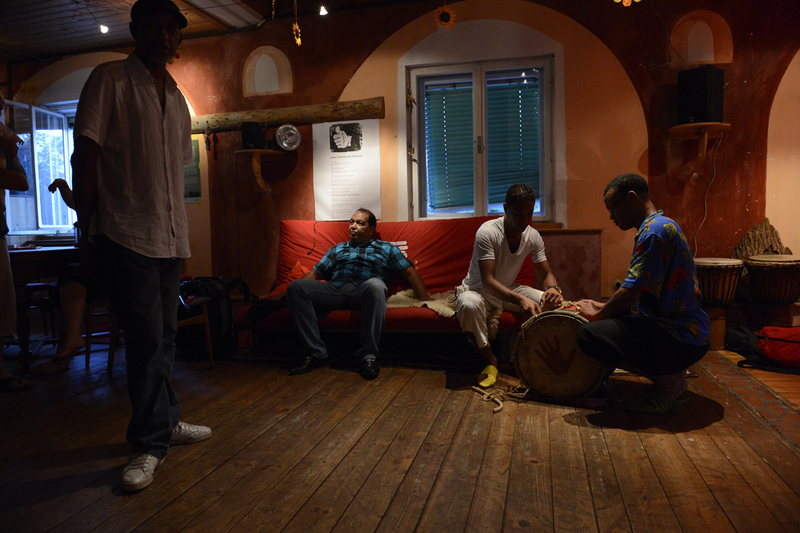 Atlas Austria Express merges Gnawan trance music, deeply rooted in African Arab culture, with Western musical traditions such as Jazz, Reggae and Funk. 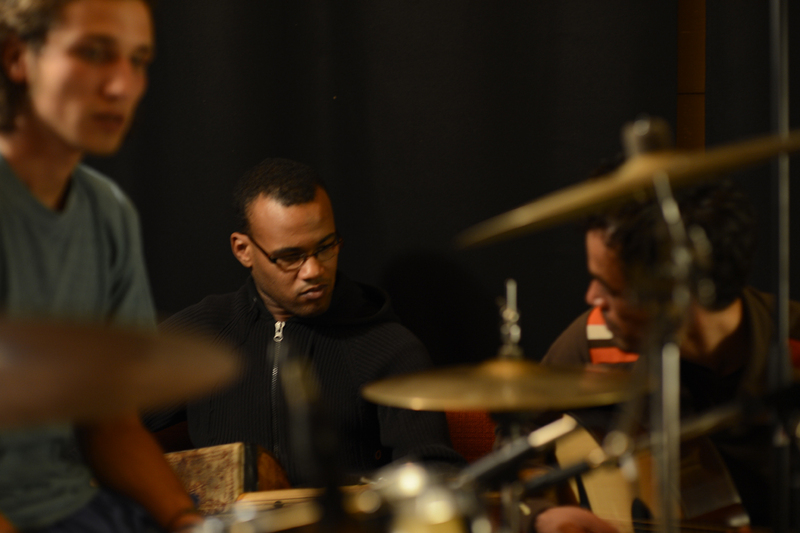 The spread of Gnawan music beyond Morocco revolves around Abdeljalil Kodssi, an energetic ambassador of Gnawan tradition, who has successfully brought many genres of music together through collaboration with world-class class names such as Don Cherry and Jorge Pardo. The patriarch of Atlas Austria Express, Kodssi inspires respect as a powerful leader and tender older brother. Although he has become a prominent figure, Kodssi remains a man of the street. Musician, barber, actor, economist, odd-jobber and medium, he is driven by a fraternal instinct to install life with meaning through music. Atlas Austria Express includes young members of his clan, who are wide open to exploring intense collaboration in melding their traditional sounds with those of other cultures. Emil Gross and Takashi Peterson bring inspiration and fresh tastes to the group by adding their own spices. The result is a group with deep roots and broad horizons that captures the hearts of diverse audiences. Emil Gross, talented young percussionist from Austria, turns his internal processes straight into tension-loaded, sensitive rhythmic spaces creating innovative sound spheres. He is at home in Funk, Rock, Reggae, Drum'n'Bass, Jazz, and Avant-garde. He also plays underground psychedelic Blues with Electric Blues Circus (EBC). Emil has toured with Atlas Austria Express since 2010, performing in festivals in Marrakech, Poland, Hungary, Austria and Slovenia. www.emilgross.com. © 2014 Atlas Austria Express. All rights reserved.